You are visiting this site because you have bats in your Palm Beach home or building. You may have just discovered them - flying out of your home at dusk, leaving scattered droppings below. Or you may have known about a large population of bats in your building for some time, but now the situation is getting out of hand, with hundreds or thousands of bats, and a strong odor. Regardless, a colony of bats in a building is a serious matter. The colony will never leave, it will only grow in size, you don't like the sight or odor of the animals, and the droppings they leave behind can be hazardous to your health, not to mention the risk of rabies. We can help you. 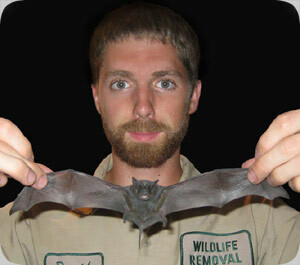 We are Florida's foremost experts on bat colony removal. We remove 100% of the bats, with a perfect success rate, we do not harm a single bat, we completely bat-proof your home or building, and we clean and decontaminate the mess that they leave behind. For an explanation of my Palm Beach bat removal prices, click here: prices. We are based in Palm Beach, FL. We operate 24/7, and strive for the highest level of customer service - we show up as scheduled, in clean truck and uniform, and we use the best equipment. We offer a full written guarantee on our work, and provide a full range of services for all of your bat control needs. We put a great deal of care and pride into our work, and make sure that the bat problem is gone for good. Our range includes all of Palm Beach County and West Palm Beach, Palm Beach Gardens, Jupiter, Lake Park, North Palm Beach, Riviera Beach, Palm Beach Shores, Royal Palm Beach, Greenacres, Palm Springs, and Lake Worth. 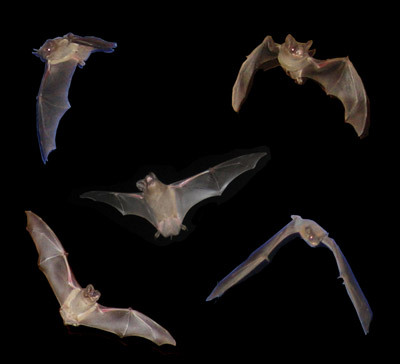 Superior Bat Exclusion: We specialize in Florida bat control, and the two primary colonizing species of bats, the Brazilian Free-Tail Bat (Tadarida brasiliensis), and the Evening Bat (Nycticeius humeralis). Of the two, the Free-Tail bat is more common in the Palm Beach FL area. Regardless, we are intimately familiar with the biology and behavior of all of Florida's bats. These two species in particular love to live in the attics or walls of homes and buildings. They form large groups, known as maternity colonies. These groups of bats never leave, and can grow to a very large size. Every summer, the female bats give birth to their baby bats, which are unable to fly for about eight weeks. When we come to your property, we inspect the building and study your bat problem often with a night watch. We identify the species of bat, colony size, all of their entry and exit points, and how much waste they have left inside the building. 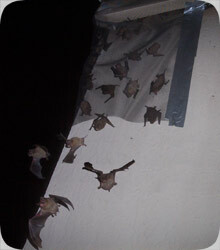 We remove all of the bats via specialty exclusion methods, such as seen in the photo to the left. Not a single bat is harmed during the process, and they are all evicted. We seal up and completely bat-proof the building. We remove all droppings and decontaminate the attic. To learn more about the bat removal process, read about removal of bats in the attic, or my comprehensive guide about how to get rid of bats. Or go back to the Orlando Florida bat removal home page. Cris - We can help you in Palm Beach! We are based out of Boca Raton, and service the entire Palm Beach County area. Our number is 561-826-6475, so give us a call to set up an appointment. I don't know the bats of NM, but I think they'd be Mexican Free-Tail bats. They are small when wings are folded up, large when flying. I'm not one to ever get freaked out or go overboard, but this guy might want post-exposure rabies vaccinations. Again, I'm no expert on rabies treatment, so your opinion is probably better than mine.